A file photo released by the U.S. Coast Guard of the fire aboard the drilling unit Deepwater Horizon in the Gulf of Mexico in April 2010. Halliburton has agreed to plead guilty to destruction of critical evidence after the spill. 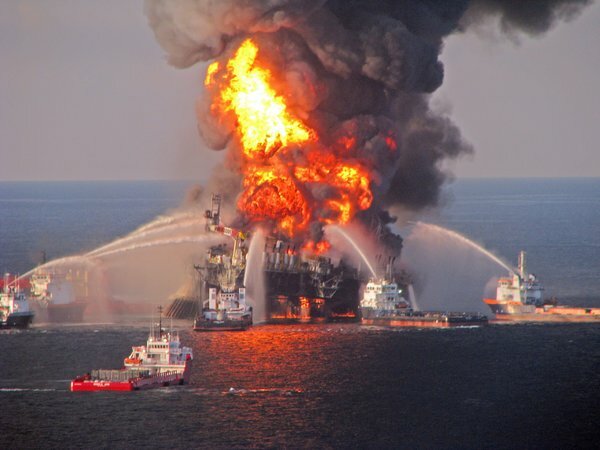 HOUSTON — Halliburton has agreed to plead guilty to destruction of critical evidence after the Gulf of Mexico oil spill in 2010, the Justice Department announced on Thursday. The oil services company said it would pay the maximum allowable fine of $200,000 and will be subject to three years of probation. It will also continue its cooperation in the government’s criminal investigation. Separately, Halliburton made a voluntary contribution of $55 million to the National Fish and Wildlife Foundation. Halliburton has suffered enormous damage to its reputation — as have BP and Transocean, the operator of the Deepwater Horizon rig — in the explosion that killed 11 workers and soiled hundreds of miles of beaches. All three companies have pleaded guilty to a criminal charge related to the spill. The Justice Department said Halliburton had recommended to BP, the British oil company, before the drilling that the well include 21 metal centralizing collars to stabilize the cementing. BP chose to use six instead. During an internal probe after the accident, Halliburton ordered workers to destroy computer simulations that showed little difference between using six and 21 collars, the government said, after which the company continued to say that BP was neglectful to not follow its advice. By Joe Mahoney Staff WriterThe Daily Star A town-wide survey of Davenport residents has determined there is significant public opposition to the proposed Constitution Pipeline, prompting town officials to seek intervenor status with the federal agency that will decide whether the project is licensed. Davenport Town Supervisor Dennis Valente, who has remained neutral on the pipeline, said he “mildly surprised” that most residents whose property would not be traversed by the natural gas transmission system are opposed to it. Valente said he has been impressed with what he called the effective organizing tactics of the grassroots group Stop the Pipeline in the public debate over the $683 million project. 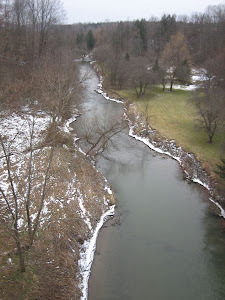 The article reports: Some proponents of the pipeline, such as Sen. Chuck Schumer, D-N.Y., have said it has the potential to become a source of low-cost energy for businesses, institutions and residents in the region of the system. But Valente said he and many residents are skeptical that any of the gas that will be transported through the system will be channeled to local residents via feeder lines. Moriarty said the opponents cited safety concerns, the possibility the project could lower property values, environmental impacts, the eminent domain authority the pipeline company would acquire and the potential that the project would invite hydraulic fracturing for shale gas. Reported spills from oil and gas well sites, according to publicly available state and federal data. Click the map for a larger version. Map by Andrew Holmes. So she's frustrated that Wyoming officials didn't fine Chesapeake Energy Corp. for an April 2012 blowout near her home outside Douglas, Wyo. The ruptured gas well spewed gas and chemicals for three days, forcing her and her neighbors to evacuate their homes.If Kristi Mogen causes a crash on the road, she knows she'll probably get a ticket and have to pay a fine. "There's no punishment on that. There's nothing," said Mogen, who believes the gas and chemicals released in the spill sickened her family. "They're just going around with business as usual." It may have surprised Mogen, but it's actually rare for state oil and gas regulators to hit companies with fines after spills and blowouts. There are no national figures on oil and gas spills or enforcement. But where state records are available, they show agencies pursue fines against oil and gas producers in only a small minority of spill cases. The Wyoming Department of Environmental Quality pursued water quality fines against 10 producers in 2012, records show, as it recorded 204 oil and gas production spills. In Texas, the leading producer of oil and gas, regulators sought enforcement for 2 percent of the 55,000 violations identified by drilling inspectors in the last fiscal year. In Pennsylvania, the heart of the Marcellus Shale gas drilling boom, 2012 records show state regulators levied fines in 13 percent of the cases where inspectors found violations. And in New Mexico, oil and gas regulators haven't issued fines in years. State oil and gas agencies are the main regulators of the nation's drilling boom. That boom is creating new wealth for oil and gas drillers and some landowners, but it's also leading to more accidents and pollution. 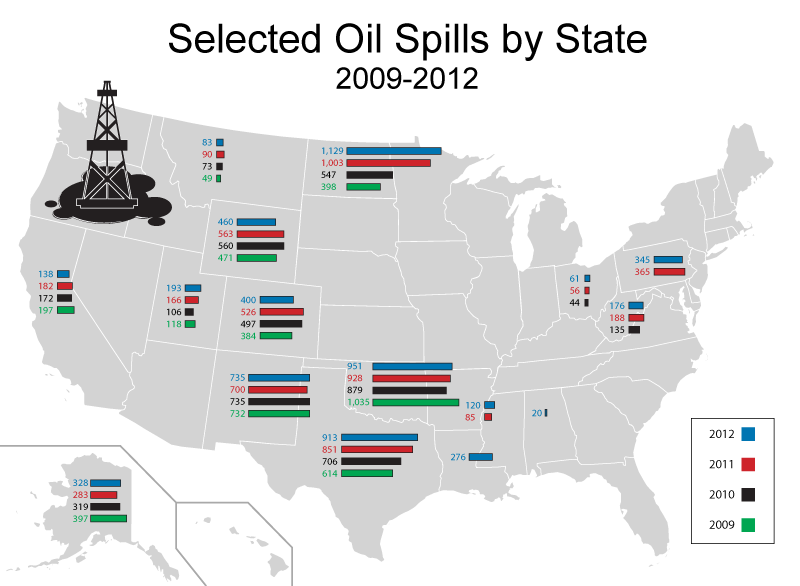 Spills, blowouts and other mishaps rose 17 percent from 2010 to 2012 in states where comparable data was available, an EnergyWire investigation found (EnergyWire, July 8). Drilling activity in those states went up 40 percent. In 2011, the agency had issued a blockbuster draft report saying that the controversial practice of fracking was to blame for the pollution of an aquifer deep below the town of Pavillion, Wy. – the first time such a claim had been based on a scientific analysis.The study drew heated criticism over its methodology and awaited a peer review that promised to settle the dispute.Now the EPA will instead hand the study over to the state of Wyoming, whose research will be funded by EnCana, the very drilling company whose wells may have caused the contamination. Millions of gallons of water laced with toxic chemicals from oil and gas drilling rigs are pumped for consumption by wildlife and livestock with the formal approval from the U.S. Environmental Protection Agency (EPA), according to public comments filed yesterday by Public Employees for Environmental Responsibility (PEER). Contrary to its own regulations, EPA is issuing permits for surface application of drilling wastewater without even identifying the chemicals in fluids used for hydraulic fracturing, also known as fracking, let alone setting effluent limits for the contaminants contained within them. The EPA has just posted proposed new water discharge permits for the nearly dozen oil fields on or abutting the Wind River Reservation in Wyoming as the EPA has Clean Water Act jurisdiction on tribal lands. Besides not even listing the array of toxic chemicals being discharged, the proposed permits have monitoring requirements so weak that water can be tested long after fracking events or maintenance flushing. In addition, the permits lack any provisions to protect the health of wildlife or livestock. ALBANY — New York's proposed rules for hydraulic fracturing drew an unprecedented response in January, when more than 200,000 comments were submitted by the public to the state Department of Environmental Conservation. Seven months later, the fate of those comments is unknown, with the DEC refusing to say whether it will respond to the concerns raised in the submissions or allow them to sit unanswered. "We know a vast majority of those comments expressed clear opposition to fracking, but we don't know if the DEC has read them or catalogued them or simply thrown them away," said Alex Beauchamp, Northeast director for Food & Water Watch, an advocacy group opposed to hydrofracking. "It's absurd that we don't know." The DEC ignored a series of inquiries over the past week from Gannett's Albany Bureau about the comments, which were submitted by the boxful in mid-January by a coalition of fracking opponents. HARRISBURG — Gov. Tom Corbett has signed legislation that critics say was fast-tracked and undermines some landowners’ negotiating rights when dealing with drilling companies. Corbett signed the bill without comment Tuesday. The National Association of Royalty Owners says the bill’s last-minute changes allow drilling companies to use decades-old mineral leases to force landowners to allow Marcellus Shale natural gas wells on their properties. Industry group the Marcellus Shale Coalition says it helps drilling proceed in the most efficient and environmentally sensitive manner. But NARO member Trevor Walczak says most lawmakers didn’t understand the provision. The legislation means heirs to drilling leases signed decades ago for traditional, shallow vertical wells could be forced to allow deep shale gas wells that include underground horizontal bores extending horizontal bores extending out thousands of feet, even under neighbors’ properties.